Leading Manufacturer of electric motorized sliding gate and collapsible sliding gates from Nagpur. 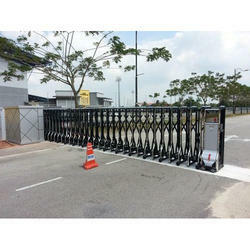 From our extensive range of products, we are presenting Electric Motorized Sliding Gate. We manufacture these gates using superior-grade materials and advanced machinery. Additionally, the entire range is passed through a series of tests ensuring its flawlessness. The offered range of gates is widely popular across the market for its mesmerizing designs and easy fitting. Clients can avail the entire range from us at reasonable prices. By utilizing skills of our dexterous workforce, we are offering a distinct range of Collapsible Sliding Gates. 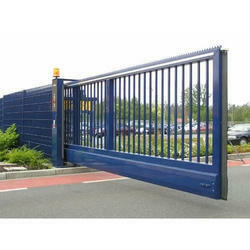 Our offered gates are roofing range is capable of finding numerous applications in various areas. Our quality controllers strictly tested these gates on predefined quality parameters to ensure the unblemished quality. These gates are extensively used due to its excellent designs and optimum shine among our clients across the nation. We are offering these gates roofing at most nominal prices.